Oak Lawn is a village in Cook County, Illinois, United States. The population was 56,690 at the 2010 census. Oak Lawn is a suburb of Chicago, located southwest of the city. It shares borders with the city in two areas but is surrounded mostly by other suburbs. Oak Lawn is located at 41°42′54″N 87°45′12″W﻿ / ﻿41.71500°N 87.75333°W﻿ / 41.71500; -87.75333 (41.715082, −87.753401). According to the 2010 census, Oak Lawn has a total area of 8.59 square miles (22.25 km2), all land. As of the 2000 United States Census, there were 55,245 people, 22,220 households, and 14,554 families residing in the village. The population density was 6,427.3 people per square mile (2,480.3/km²). There were 22,846 housing units, at an average density of 2,657.9 per square mile (1,025.7/km²). The racial makeup of the village was 93.35% White, 1.22% African American, 0.17% Native American, 1.73% Asian, 0.01% Pacific Islander, 1.64% from other races, and 1.90% from two or more races. Hispanic or Latino people of any race were 5.33% of the population, including 4.3% of Mexican descent. The top five ancestries reported in Oak Lawn as of the 2000 census were Irish (30.4%), German (19.5%), Polish (19.3%), Italian (9.7%) and English (4.4%). One of the streets in the village pays tribute to its Polish American heritage through its name Deblin Lane, after Dęblin, Poland. There were 22,220 households, of which 25.8% had children under the age of 18 living with them, 52.0% were married couples living together, 10.1% had a female householder with no husband present, and 34.5% were non-families. Individuals made up 30.9% of all households, and someone living alone who was 65 years of age or older comprised 17.0%. The average household size was 2.46, and the average family size was 3.14. In the village, 21.9% of the population were under the age of 18, 7.2% were aged 18 to 24, 26.2% aged 25 to 44, 22.9% aged 45 to 64, and 21.7% aged 65 or older. The median age was 42 years. For every 100 females, there were 88.3 males. For every 100 females age 18 and over, there were 84.2 males. The median income for a household in the village was $56,185, and the median income for a family was $71,413. Males had a median income of $53,782, versus $41,904 for females. The per capita income for the village was $27,230. About 3.9% of families and 5.4% of the population were below the poverty line, including 6.7% of those under age 18 and 4.6% of those aged 65 or over. The village government consists of a village president and six village trustees. The trustees represent the six districts within the village and are elected to four-year terms by the voters in each of their respective districts. The current village president of Oak Lawn is Dr. Sandra Bury, who was elected in April 2013 as the leader of a group of trustees known as "Oak Lawn First", who defeated incumbent Mayor Dave Heilmann and his slate of candidates. 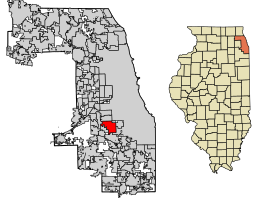 Oak Lawn is in Illinois's 3rd congressional district. In August 1835, James B. Campbell purchased the land stretching between Cicero Avenue and Central Avenue from 95th Street to 103rd Street. It is unclear what Campbell's intentions with the area were, but by 1840, he had lost a court battle with the Illinois State Bank and his land was sold in a public auction. John Simpson, a prominent figure in early Oak Lawn history, bought the northern half of the property in 1842. By 1859, the recently incorporated government of Worth Township paid for the construction of Black Oak Grove Road, an early name for 95th Street. Black Oak Grove is also the earliest known name of the area that would become Oak Lawn. It was later shortened to Black Oak or Black Oaks, but in 1882, the post office, train depot and surrounding community became known simply as Oak Lawn. Over the next two decades, the area grew in population as more homes were built and local business sprang into being. In 1909, Oak Lawn officially became an incorporated village. The following years saw major improvements to local infrastructure and government services, such as the introduction of the police magistrate and village marshal, along with the building of a village hall and jailhouse. Electric lights were brought to 95th Street in 1911, the volunteer fire department began in 1923, Oak Lawn's first bank opened in 1925, and the Community High School District 218 was formed. The population had grown to 2,045 by 1930, and civic improvements were steadily made over the next decade. In 1934, an initial collection of one hundred books was the beginning of the Oak Lawn Public Library. By 1935, President Franklin D. Roosevelt created the Works Progress Administration as part of the New Deal, which supported a variety of public works, including libraries. With the help of a WPA grant, the new library opened its doors in 1936. After World War II, with veterans returning home to take advantage of the G.I. Bill, Oak Lawn experienced a major population boom. Beginning in 1949, Oak Lawn Round-Up Days became an annual event and helped to promote the village. Initially drawing 25,000 people, the Western-themed celebration brought in over 100,000 attendees in 1952. This year saw Jack Brickhouse as master of ceremonies, and the parade was televised on WGN-TV. By 1957, Round-Up Days had become too large, and the next year a final scaled-down version was held. The 1950s also saw the shift to a village managerial government, and a new library and fire station were constructed. By 1960, there were nearly 20,000 residents in Oak Lawn. On April 21, 1967, a tornado touched down in Oak Lawn that is recorded as one of the worst to strike an urban area. Roughly 900 buildings were damaged or destroyed, and over 30 people were killed. The town was rebuilt in the coming years, and witnessed further population growth, peaking at 63,500 between 1973 and 1976. However, there was a decrease in residents in the 1980s, and an aging population led to the closure of several schools during this time. In response, the village began a process of redevelopment to counteract the decrease. This redevelopment has focused primarily on businesses and structures in the core area of Oak Lawn, around 95th Street between Cicero Avenue and Central Avenue. On April 21, 1967, an F4 tornado touched down at 105th Street and Kean Avenue in Palos Hills, 5 miles (8 km) west of Oak Lawn. There were no deaths in Palos Hills, although a number of homes were destroyed and two transmission towers collapsed. After rising from the ground, the tornado touched down again at the Starlite Drive-In Theater at 6400 West 95th Street. With winds estimated to be over 200 miles per hour (320 km/h), the tornado tore through Oak Lawn, tossing cars and buses in the air. After cutting Oak Lawn Community High School in half, it moved past St. Gerald's to 91st Street and Cicero Avenue, heavily damaging the Airway Trailer Park and the Oak Lawn Roller Rink before rising from ground level. It touched down again in nearby Hometown, Evergreen Park, and Chicago before dissipating over Lake Michigan. In just sixteen minutes, the storm left a 16-mile (26 km) path of destruction and over 30 people dead. Oak Lawn is known for its community hospital, which serves the residents of Chicago and its suburbs. Christ Community Hospital (now known as Advocate Christ Medical Center) was built in Oak Lawn in 1960 and has expanded with the development of Hope Children's Hospital, along with becoming a part of Advocate Health Care. Christ Hospital also has a state-of-the-art Level 1 trauma center, providing trauma patients with advanced emergency medical care. The emergency department treats more patients than any other hospital in Illinois. Oak Lawn has public education schooling children from K–5 in its many elementary schools, including Kolb, Lieb, Harnew, Columbus Manor, Covington, Hannum, Hometown, Kolmar, and Sward. Oak Lawn has two public middle schools: Simmons Middle School, and Oak Lawn-Hometown Middle School, which replaced Douglas A. McGugan Junior High School in 2005 (now leased to South Side Baptist Church and School and Christ Hospital's EMS training program). There are two public high schools, Oak Lawn Community High School and Harold L. Richards High School; they enroll students mostly from Oak Lawn, Hometown, Bridgeview, Chicago Ridge, Calumet Park, and Robbins. Catholic grammar schools include St. Louis de Montfort, St. Germaine, St. Catherine, St. Linus, and St. Gerald. There is also a Christian school at 101st Street and Central Avenue named Southwest Chicago Christian School. Churches in Oak Lawn include Calvin Christian Reformed Church, First Christian Reformed Church of Oak Lawn, First United Methodist Church of Oak Lawn, South Side Baptist Church, Pilgrim Faith United Church of Christ, Salem United Church of Christ, St. Catherine of Alexandria, St. Germaine, St. Linus, St. Louis de Montfort, The Family of St. Gerald, St. Nicholas Greek Orthodox Church, and Wesleyan Community Church. Newspapers that serve Oak Lawn include The Reporter, a hyperlocal weekly, and the SouthtownStar, a daily owned by the same group that publishes the Chicago Tribune. Oak Lawn maintains an expansive park system. From small corner play lots to the 38-acre (150,000 m2) Centennial Park, there are over 300 acres (1.2 km2) of parks, recreational facilities and open land. These include playgrounds, walking paths, baseball fields, basketball, volleyball and tennis courts, plus outdoor swimming pools, an indoor ice arena, two fitness centers, and an 18-hole golf course. Each area in Oak Lawn has its own recreational area, totaling 22 parks. The 18-hole Stony Creek Golf Course features 5,004 yards (4,576 m) of golf from the longest tees for a par of 65. Designed by Carl Getz, the golf course opened in 1982. The facility features include a miniature-golf course, banquet facilities, pro shop, bocce courts, horseshoe pits, PGA instruction, and a 44-station driving range. Starting in 2002, downtown Oak Lawn (95th Street between Tulley Avenue and 55th Court) became the target of a massive redevelopment program; properties on the north and south sides of 95th Street were demolished. Eventually, several square blocks were leveled, making room for several multistory, high-end condominium complexes with retail space on the main floors. Part of the project was the expansion of the Metra commuter train station that houses a retail/office center and a new children's museum. This complex also includes a multistory parking garage. Downtown Oak Lawn as seen today bears little resemblance to the downtown from 2002. It now features modern high-rise buildings, new shopping areas, a large contemporary Metra train station, and several new retail and service facilities. In mid-2007, Oak Lawn began hanging additional messages to city stop signs in an attempt to have drivers obey the signs. The signs were the idea of the city President, and local residents are encouraged to submit their own ideas. Found throughout the village, the signs garnered attention with the press. The Federal Highway Administration (FHWA) and IDOT voiced their concerns about the use of these nonconforming stop signs, and as such the village removed them in April 2008. Initially, the mayor refused to remove the signs, but IDOT threatened to withhold millions of dollars in funding for infrastructure. ^ a b "Profile of General Population and Housing Characteristics: 2010 Demographic Profile Data (DP-1): Oak Lawn village, Illinois". U.S. Census Bureau, American Factfinder. Retrieved March 15, 2013. ^ a b c d DP-1: Profile of General Demographic Characteristics: 2000 from the Census 2000 Summary File 1 (SF 1) 100-Percent Data for Oak Lawn village, Illinois, United States Census Bureau. Accessed June 15, 2016. ^ Profile of Selected Social Characteristics, Oak Lawn, Illinois. U.S. Census Bureau. Accessed 2007-04-03. ^ Bureau, U.S. Census. "American FactFinder - Community Facts". factfinder.census.gov. ^ , Village Adopts New Name, Government. Black Oak and After. Gordon Welles and Gerald Anderson. ^ , Oak Lawn: A Century of Growth. The Centennial Commission. 1982. ^ , The Oak Lawn Public Library. Black Oak and After. Verlyn Biere, edited by Grant Subs. ^ , Oak Lawn Round-Up 1949-1958. Black Oak and After. Gordon Welles. ^ , The 1967 Oak Lawn Tornado. Black Oak and After. Barbara Wolfe. ^ "South Side Baptist Church". South Side Baptist Church. ^ "Oak Lawn Park District - Oak Lawn, IL". www.olparks.com. ^ "Children's Museum in Oak Lawn". Children's Museum in Oak Lawn. ^ "Chicago Local News, Weather, Traffic, US & World and Breaking News". NBC Chicago. ^ Staff. "Former Phillies outfielder Brian Bogusevic signs with NPB's Orix Buffaloes", Philadelphia.com, December 9, 2015. Accessed June 15, 2016. "Bogusevic, 31, began last season with the Triple-A Lehigh Valley IronPigs, despite slugging .611 in 36 spring training at-bats.The Oak Lawn, Illinois native was not recalled until Sept. 4." ^ Williams, Kevin. "REO Speedwagon embraces its past, future", Chicago Tribune, May 14, 2010. Accessed June 15, 2016. "Cronin and his bandmates are homeboys even though they all live in Los Angeles now. He grew up in Oak Lawn as the weird kid with the long hair and funny clothes who played guitar all the time, went to high school at Brother Rice and to college at Loyola University in Rogers Park." ^ Haugh, David. "Father's example lives on in Diehl; Giants offensive tackle's strong work ethic instilled growing up on South Side", Chicago Tribune, February 3, 2008. Accessed June 15, 2016. "That all changed when the Diehls moved out of the neighborhood to Oak Lawn before David started 8th grade." ^ Staff. "Flatley's Generosity Benefits Special School", Sun-Sentinel, May 1, 2000. Accessed June 15, 2016. "Flatley, creator and star of Lord of the Dance, donated the money Friday to Elim Christian School, which serves students with developmental disabilities, including Flatley's niece, 14. 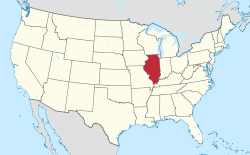 Flatley grew up in nearby Oak Lawn, Ill."
^ "Player FIle". MLB.com. Retrieved 2009-12-08.